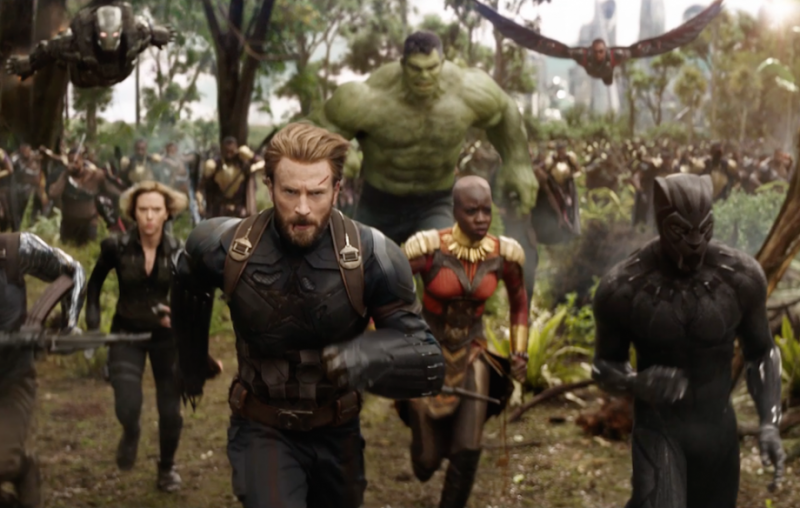 "Its only April, but Infinity War is probably the most fun you will have at the movies this year"
Avengers: Infinity War directed by the Russo Brothers, the team responsible for the last two Captain America films, Winter Soldier and Civil War, is the latest and possibly next to last Avengers film starring every major cast member from every major Marvel film released in the last ten years. Thanos (Josh Brolin), the villain famously teased in the end credits of the very first Avengers film, has gone on a rampage in search of the six separate infinity stones that he must collect that will give him full control over the universe. Once these stones are collected, Thanos plans to wipe out half the population in an effort to rebuild life in his image. This is a simple premise for an epic movie, and with the amount of sets, characters and stories that must be told, it’s done superbly. There is an exorbitant amount of characters in his movie, all placed in different settings and situations fighting for the common goal. With its two hour and thirty-six-minute run-time, Infinity War contains little filler and decent pacing. A feat that has rarely been achieved in epic films of modern day. Infinity War’s biggest surprise that its main character is the villain, Thanos. 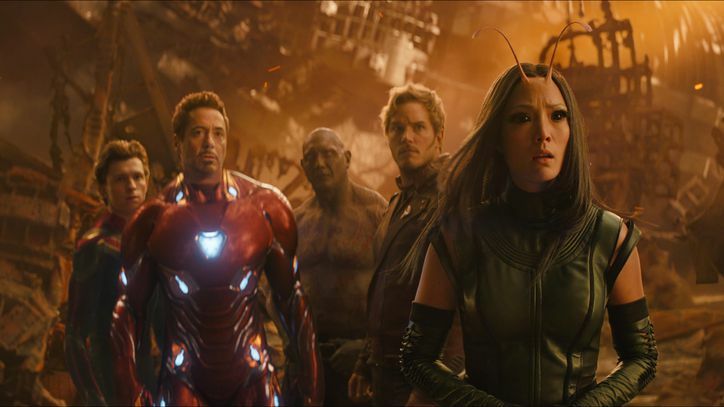 The Marvel films have always been heavy on humor, even more so since Guardians of the Galaxy, but although infinity War has its fair share, it tones down the jokes. Because of the omnipresent villain and the weight of his mission, Thanos is no Loki. He’s not walking around making puns, he means business. Thanks in part to a wonderful performance by Brolin as well as an incredible job by the special effect team, Thanos is downright scary at times. And even though he’s evil incarnate, he still manages to have a real personality. We see him experience pain, joy, and he provides a real threat to The Avengers. The audience is literally left guessing how far he will go, and it’s far. Infinity War is not without flaws, there is a pretty middling second act that includes Peter Dinklage playing a giant. While this arc is necessary, it does take a while to push the plot forward. A surprisingly disappointing aspect were the fight scenes. Although almost all of them were epic in scale, they were a little bland. This is not really a shock since Winter Soldier and Civil War, which contained the arguably the best fight scenes in Marvel’s history. The fights had fewer people, were based in martial arts and hand to hand combat, and filmed closer range with a handheld camera. Here there is literally an army of soldiers fighting an army of aliens, and the result was just ok. 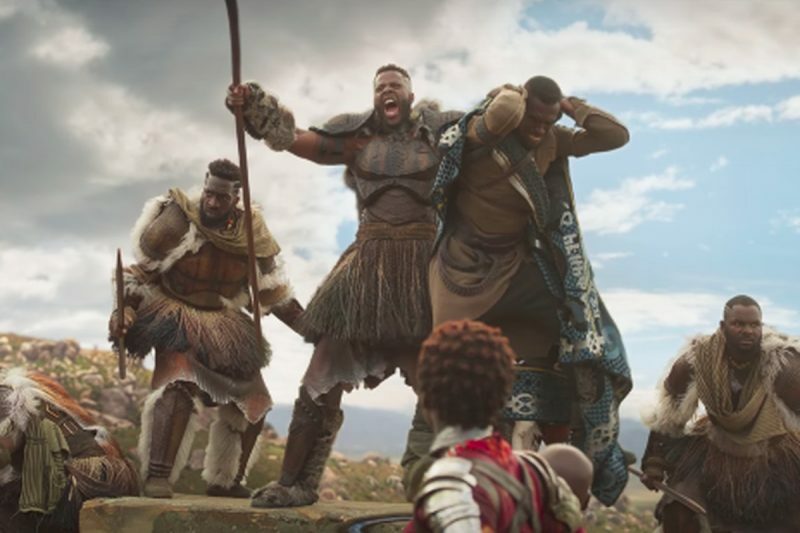 They served their purpose, but definitely were not the highlight of the movie. Infinity War is a blast of the movie. If you are a fan of all of the Marvel films, you will have the time of your life here. Even with its long runtime, it’s a very enjoyable sit with a really great payoff. Go see it immediately, and see it a second time! Weaker than usual action scenes.